„Italian Stone Theatre“ in Hall 1 was once more a highlight of the Marmomacc 2016. 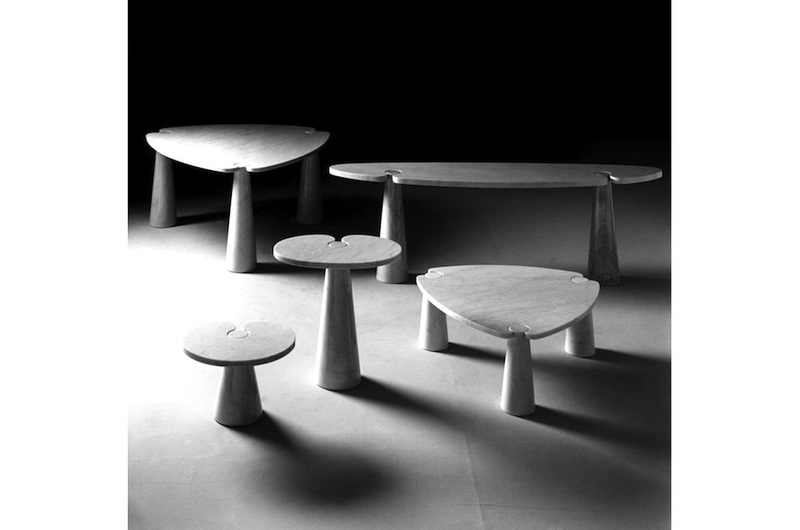 We had reported on works by the industrial designer Raffaello Galiotto at some length. The works were presented on the right side of the entrance and stood under the heading „The Power of Stone“. Two more presentations to the left of the entrance and in the middle of Hall 1 were no less noteworthy: „50 Years of Living Marble“ and „New Marble Generation“. As a whole they spanned the arch from the interest of natural stone designers half a century ago to the latest experiments. Most remarkable, time and again, was how the world of working and processing stone has changed in the last half century (or in a mere two generations): whereas the oldest works were almost a product of hammer and chisel – there were no diamond-tipped tools or water jet CNC-machines to do the job back then – new developments focus on precisely these tools. With the help of the new technology, it is not only possible to coax shapes from a block of marble, granite or the like hitherto unfathomable. The production is also much less costly than hand crafted objects would be. 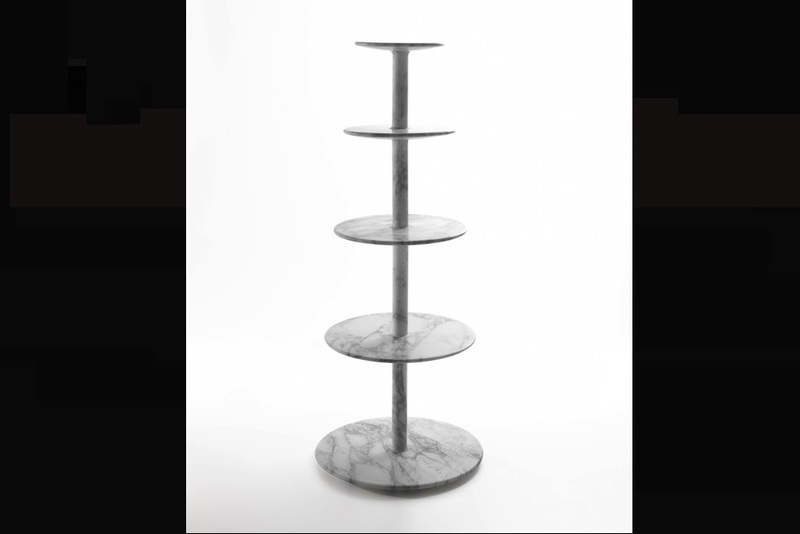 Also, mass production is made possible thanks to the new technology, making it an interesting option for the entire branch: if attractive household items can be produced from stone, the objects themselves are the most effective public relations ambassadors for marble and granite by their mere presence. Readers will pardon the pun if we say: new technology and creative designers and architects are experiencing a revival of the stone-age. 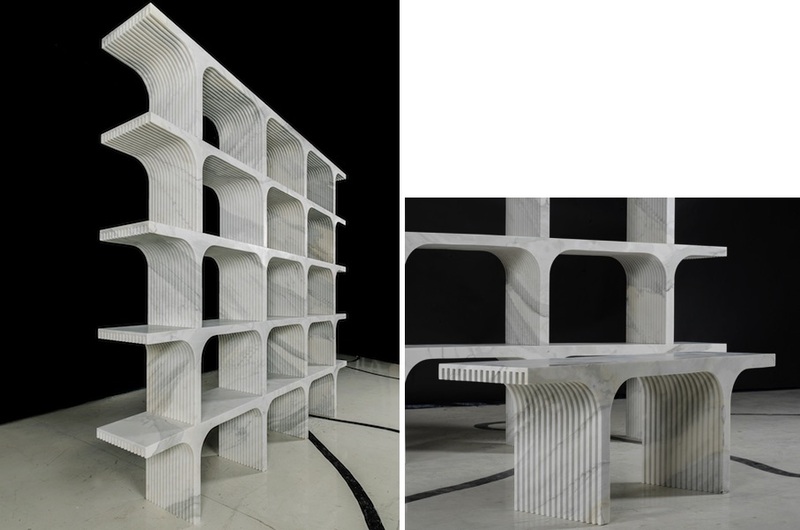 Curators of „50 Years of Living Marble“ and „New Marble Generation“ were Architect Vincenzo Pavan and Pavan together with Raffaello Galiotto respectively. GONG by: Giorgio Canale, Company: Cereser, Company partner: Folio panel – Cifralluminio, T.L.C. Carpenteria Metallica, Material: White Diamond. Gong of light. This ancient Chinese instrument dates back more than 4000 years. It was a source of inspiration for architect Canale in expressing his creativity in the context of the New Marble Generation exhibition. Collaboration with Domenico Cereser continued, with the company providing the designer one of the noblest and most exclusive materials in its production – White Diamond – in order to enhance its characteristics of translucency and versatility. The linear, essential outlines of the gong designed by Canale creates synergies between CERESER natural stones and FOLIO PANEL technology, a leading company based in Brescia in the production of LED technology lighting panels. Gong is a furniture item, a maxilamp capable of generating harmonies and modulations with light; it is ideal widespread use in hotel lobbies and large foyers as a way of delineating reception areas or illuminated courses. This project, as in the past for others designed by Canale, once again reflects a desire to pay homage to his hometown Verona, where even today this ancient instrument announces that the opera is about to start to the audience in the Arena. PLAY PANCA by: Denis Santachiara, Company: Paolo Costa, Material: Bianco di Carrara. 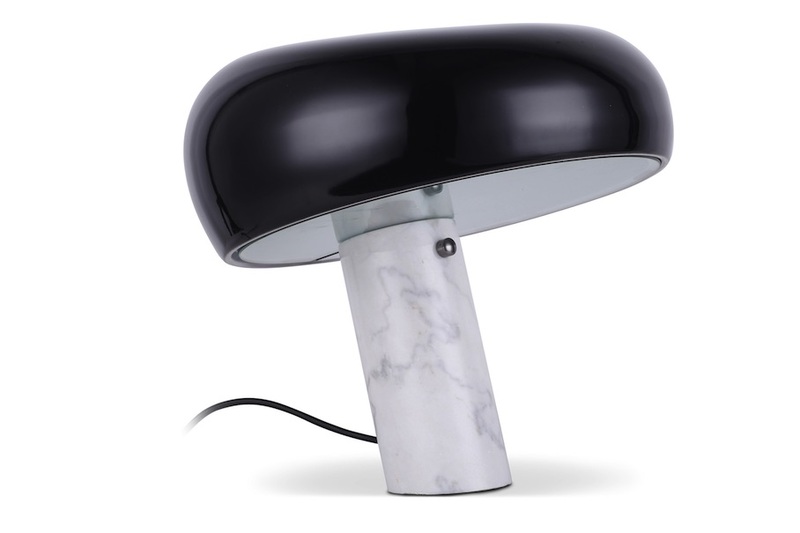 A seat in Carrara white marble, its horn-like shape helping it become a kind of huge, passive amplifier assisted by the special hardness of marble at the opening of the trumpet a SmartPhone can be inserted here to amplify music through the large trumpet. PANCA SAMPIETRINA by: Philippe Nigro, Company: Euro Porfidi, Material: Trachite mare. Euro Porfidi specialises in the production of works in stone for streets and cities. In this context, it was a logical to begin work on street furniture/objects. The idea is to resume a module well-known to everyone: the cobblestone cubes used to pave Italian streets to create benches and seats giving the impression, for a brief moment, that the pavement rises to merge into the street furniture. 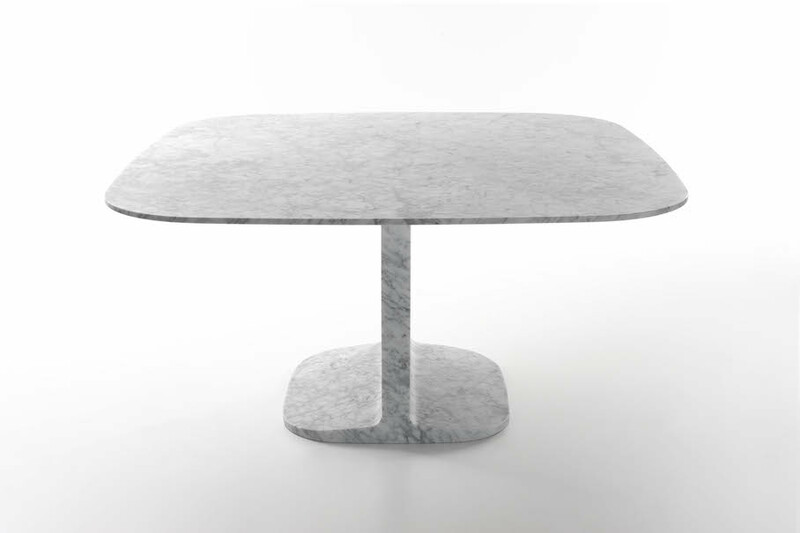 ELIC TABLE by: Setsu & Shinobu Ito, Company: GDA Marmi & Graniti, Materials: Marmo Bianco Madielle, Marmo Bardiglio Madielle. 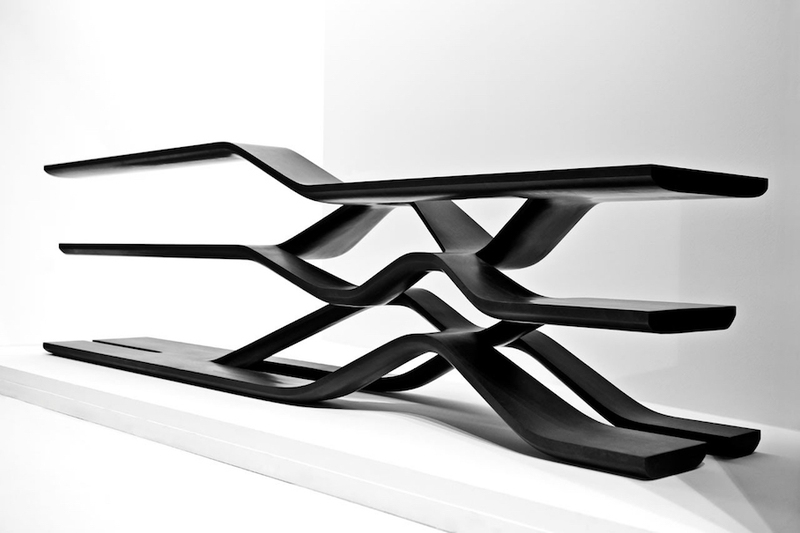 The Elic table has a natural shape reminiscent of a ropeller or a cyclone and a natural yet at the same time futuristic pattern. Marble may seem to be heavy, hard and cold but it can also be extremely smooth and sensual, thanks to its high density characteristics. The top almost looks like a cloth, a carpet or an element floats and riding on air. 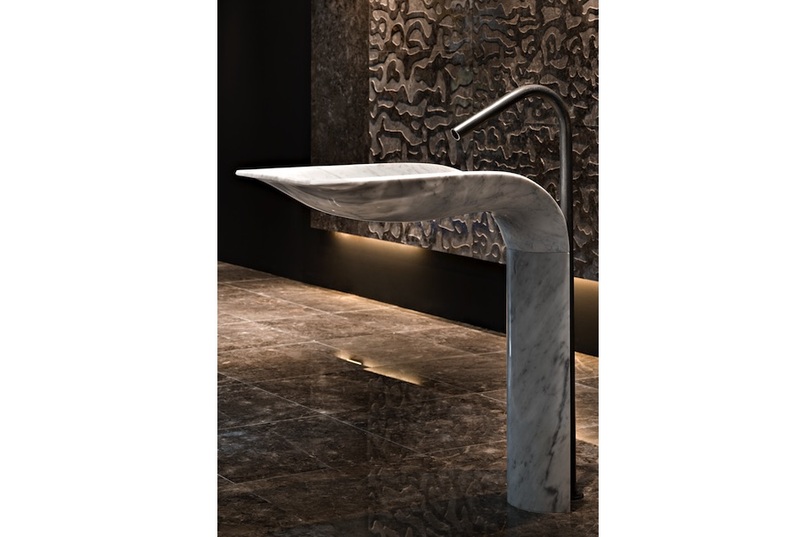 Its slim thickness (just 20 mm) is accentuated by even thinner edges to achieve extreme lightness and movement; the overall impact is enhanced by the beauty of GDA Carrara marble, with its natural decoration of dark veins typical of Carrara marble. PEDRA by: Massimo Iosa Ghini, Company: Grassi Pietre, Material: Pietra di Vicenza. Having a sculpture-like appearance, Pedra is a table that besides being a furnishing element also emerges as an image of lightness. Pietra Vicentina or “soft stone” is a protagonist in architecture and here proves to be a malleable, soft material with unexpected features: it can be used to produce a uniform, even surface without joints. The use of local materials and innovative modern technologies, also with a focus on the environment, help give expression to forms by making them harmonious and streamlined, as well as challenging. 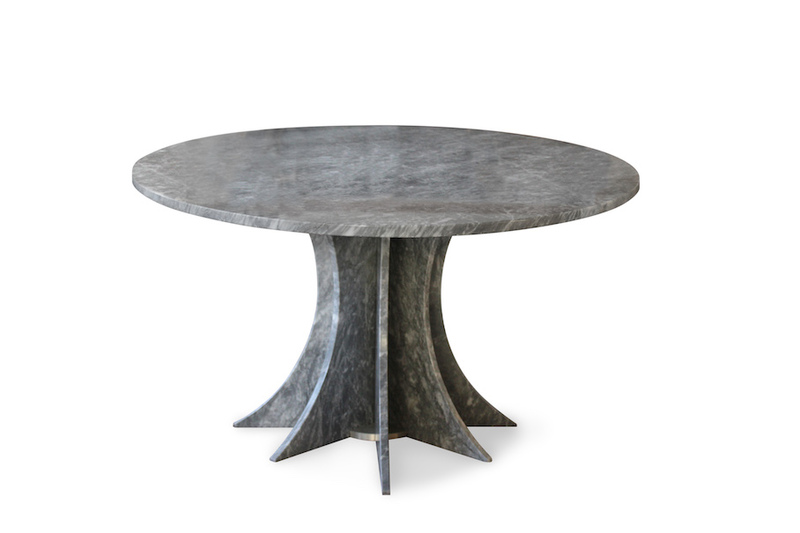 Pedra has an oval-shaped base of elegant essentiality, with legs curving inwards recalling the profile of the top. CONVERSATION ON STONE by: Marco Piva, Company: Helios Automazioni, Material: Bianco di Carrara. 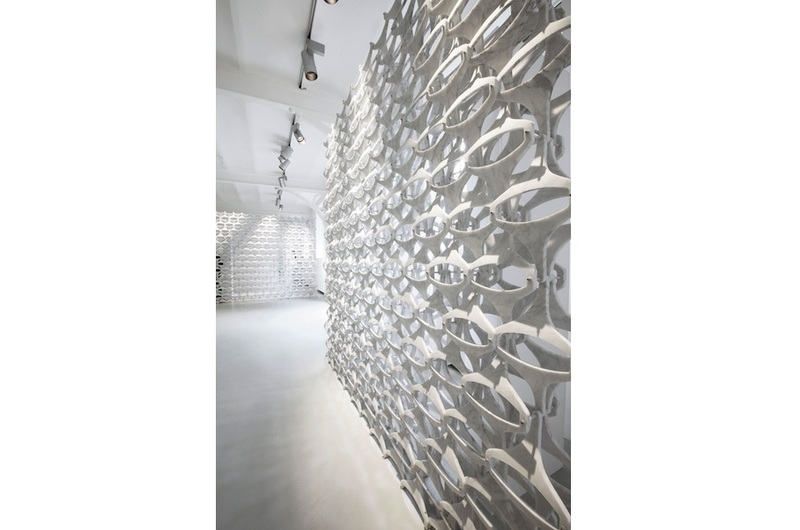 Sinuous forms and lightness combine in the „CONVERSATION ON STONE” installation conceived by Marco Piva for Helios Automazione at Marmomacc 2016. Stone material comes forward in an unusual duality of texture and dynamism, in a stage-setting for meeting and reflection characterised by solid yet flexible seats where people can sit down comfortably and meditate. Epigrams, remarks and thoughts ideally imprinted into curved marble slabs are depicted symbolically like sheets of paper in the wind. Marble in this installation simultaneously reveals its nature as well as becoming something else, hovering in space like the pages of story yet to be written: a stimulus for conversation about the new possibilities offered by technology and craftsmanship capable of shaping this material in ever new and surprising ways. „MÖBIUS” CHAIR & SOFÀ by: Giuseppe Fallacara, Company: MGI – Marmi e Graniti d’Italia Sicilmarmi, Collaborators: Daniele Malomo, Maurizio Barberio. Materials: Perlato di Sicilia, Fibra di carbonio. 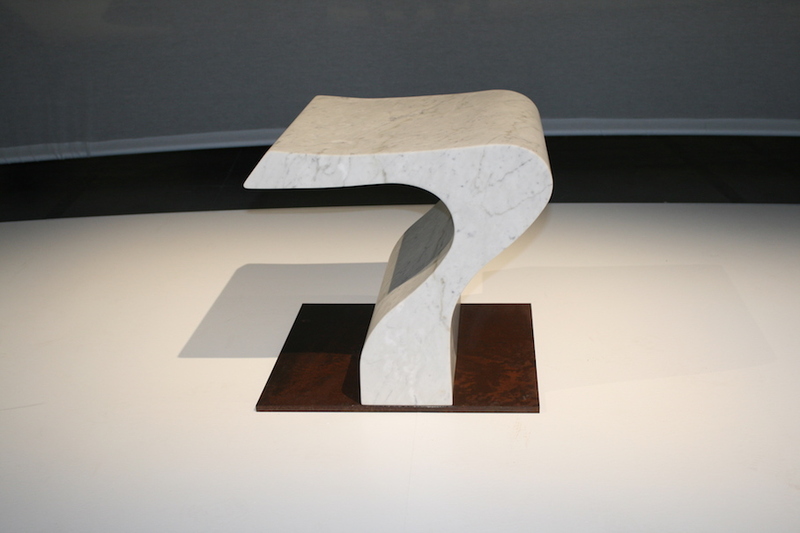 „Möbius” chairs are the state-of-the-art of research into stone materials and manufacturing techniques. 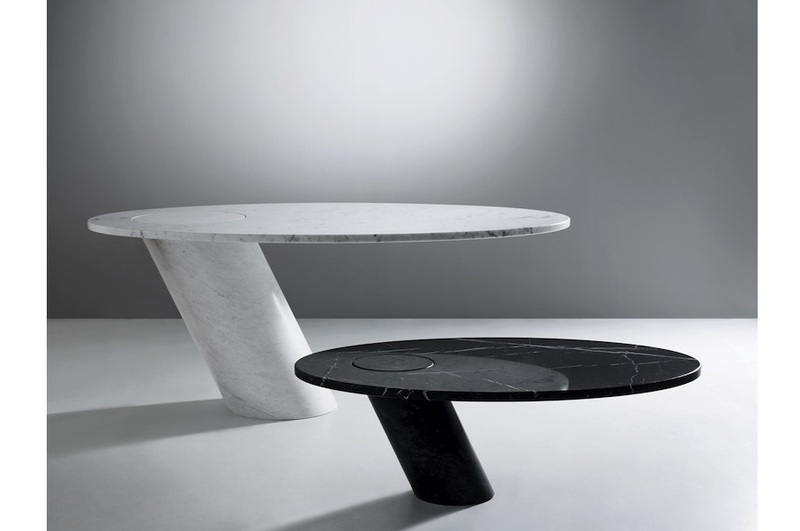 Inspired by the famous Möbius strip, the two chairs are configured as continuous 2 cm thick bands of Perlato di Sicilia, reinforced by applying a layer of carbon fibre on the back. The bands are made up by assembling a few lightweight pieces manufactured using CNC machinery. 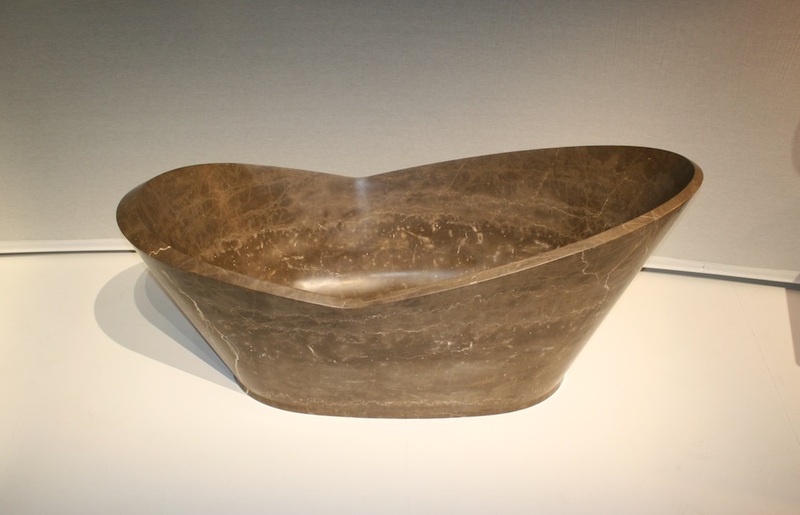 Their form emphasises the enormous unexplored potential of stone as a contemporary material for architecture and design. HOLE by: Paolo Ulian, Company: Nikolaus Bagnara, Materials: Silver Cloud, Alps Glitter, Moon Rock. 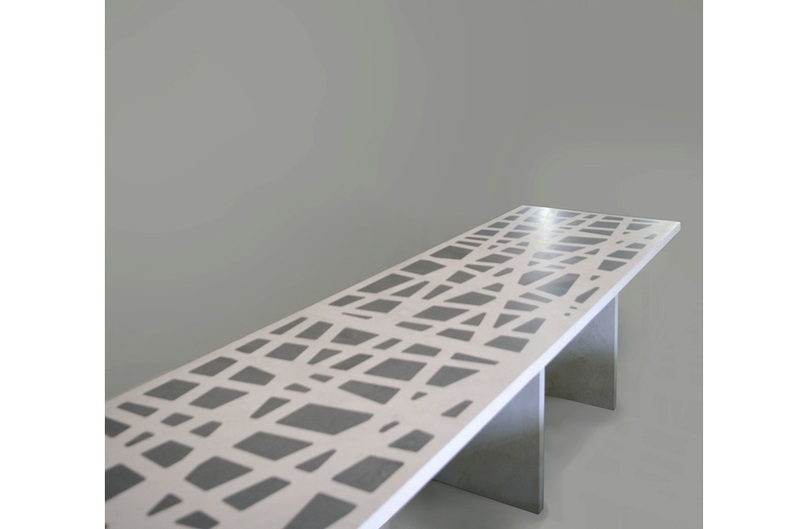 This series of 10 modular coffee tables is worked from a single 100 x 100 x 5 cm slab of marble using waterjet cutting technology. This cutting method, minimises waste and even the small cylinders formed by drilling the tops are used to make the legs. The tables can be combined freely with each other and even stacked to create table tops of different heights. Slabs of different materials processed with same cutting approach helps create always different combinations of materials and colours. 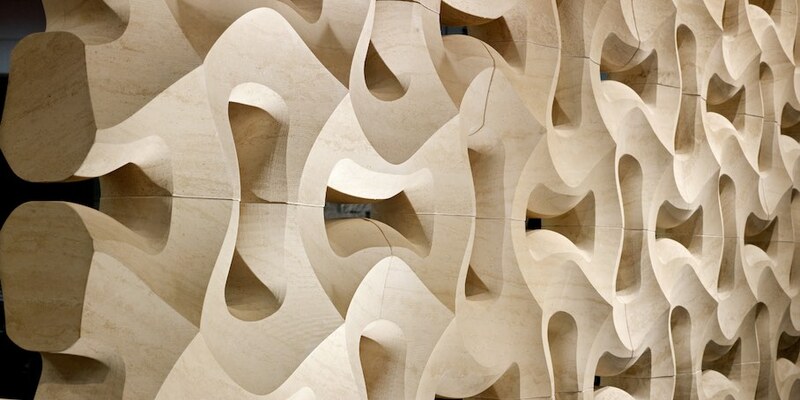 HYPARWALL by: Giuseppe Fallacara, Company: Pimar, Collaborators: Marco Stigliano, New Fundamentals Research Group, Materials: Pietra Leccese. HyparWall is a modular wall in perforated stone for exteriors and interiors ensuring multiple configurations: along straight, curved or cylindrical courses thanks to just two basic ashlars which are easy to produce and assemble. 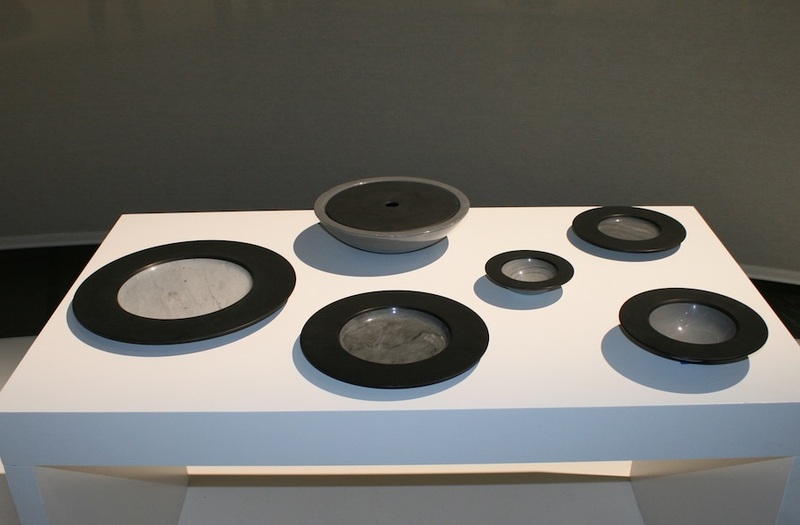 These ashlars are made from recomposed stone using waste Lecce Stone generated during other processing stages. 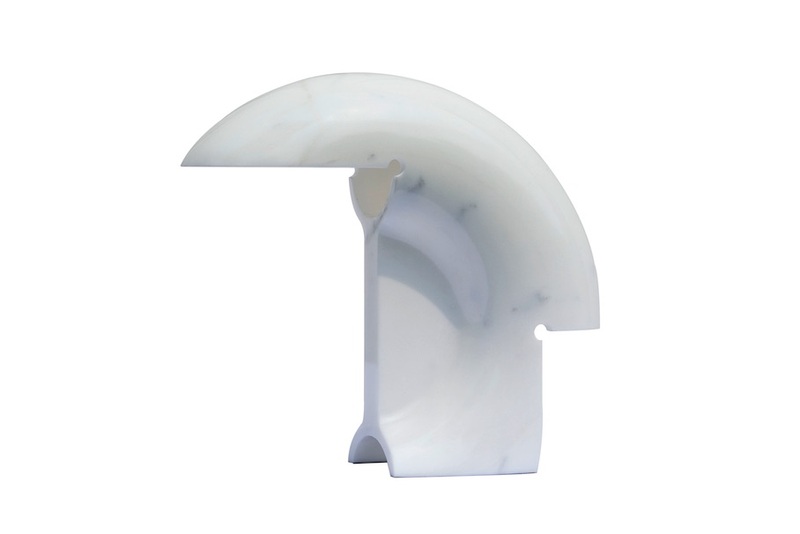 The cemented ashlars have a “saddle” shape (hyperbolic paraboloid) that exploits the properties of grooved surfaces in order to optimise mass production using the mould and countermould technique. It is also possible to produce natural stone ashlars by cutting the material with diamond wire mounted on a robot arm. The two typical ashlars are mirror images of each other. COLLEZIONE BISLAPIS by: Marcello Morandini, Company: Remuzzi Marmi Bergamo. Material: Bislapis® Nero Marquina e Bianco Carrara. 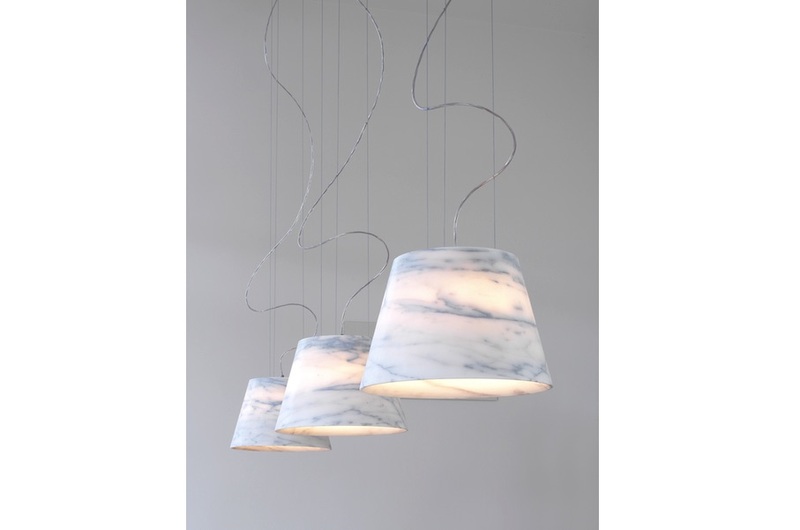 Marmi Remuzzi has developed a new product based on a composite material called „Bislapis”®: thin marble and onyx coupled together for new functional home designs. 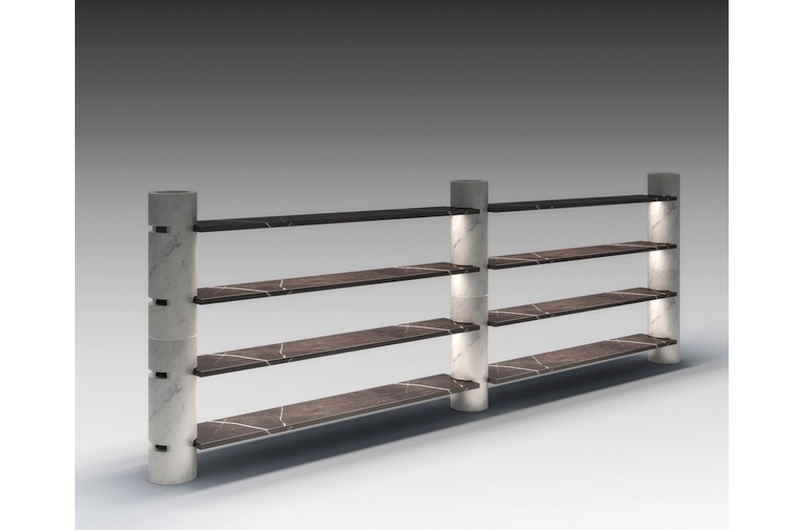 The current range include some of the many consistent examples demonstrating that “Bislapis”® is a useful construction and support means for endless, stimulating design in the world of furniture and home living, with all the positive characteristics of lightness, reliability, beauty, durability and prestige. This small collection proposed here is an invitation and suggestion for others to learn more about the endless potential of „Bislapis”®. In 2014, he designed two important personal shows at the National Museum in Bayreuth, Germany, and the National Gallery of Modern Art in Rome. KINTSUGI by: Giorgio Canale, Company: Tenax, Ionia Pietre Naturali, Material: Pietra Serena. The kintsugi (金継ぎ) is a Japanese art involving the use of liquid gold to repair ceramic objects. 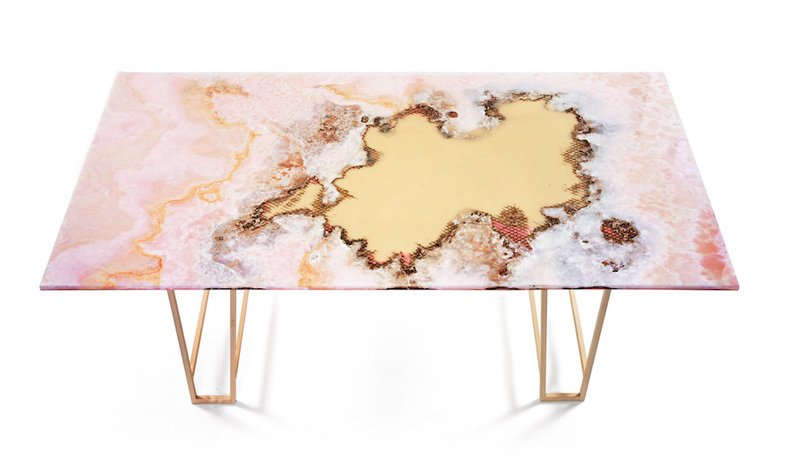 The art of embracing such damage without being ashamed of it, is the starting point for a research task that Tenax and architect Canale are developing in order to define an industrial process capable of breathing new life into standardised materials. The “controlled split” texture bonded with tone-on-tone or contrasting resins suggests new creative uses of natural stone. The first object in this collection is a deluxe desk with which the author uses to presents the new technology in its maximum expression. 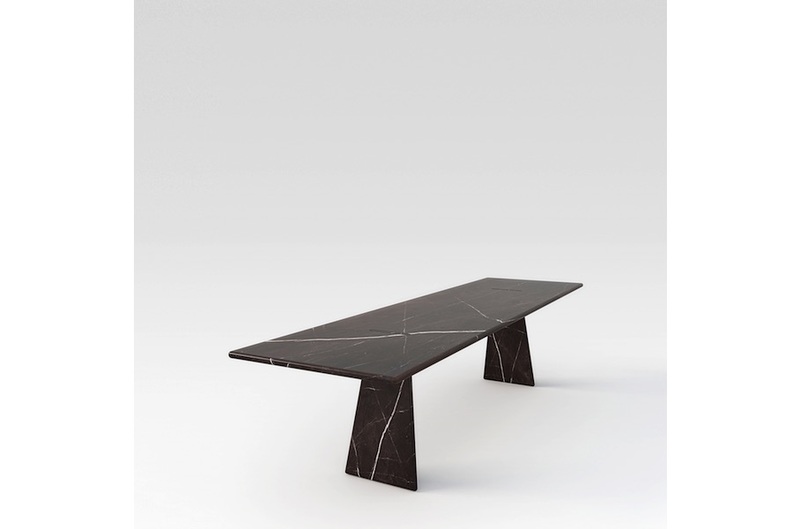 The „soft slab” used for the KINTSUGI desk stands out in stark contrast with the traditional idea of rigidity associated with natural stone.